The overall aim of SEO is to optimize a page or a whole website so that it ranks better on SERPs. One of the most important facts to keep in mind when optimizing your site is that you need to create original blog/website content that is SEO-friendly and will generate sufficient organic traffic. Generally, there are two approaches to SEO – some companies prefer to do in-house SEO, while others choose to dedicate it to a third-party specialist. Regardless of the approach, you have adopted for your website, it is essential to follow some important tips when it comes to content creation to ensure that it will boost your site’s traffic. In both cases, blog content value can be enhanced by following the example of professional writers as those working for businesses like Handmadewritings or WriteMyEssayToday since they can set an example of how to write authentic content that delivers a message. Great SEO-friendly content is just a few steps away as presented below and if you follow them, your site will rank much higher and hence attract more traffic. Your site’s ranking is the factor that generates organic traffic. You need to make sure that it is visible and optimized for the search engines so that it will get displayed in the top positions of the first page. Since not all search engines are the same, the first thing to take into consideration is which search engine you need to target and then abide by its rules. According to a NetMarketShare report, Google accounted for over 72% of the search traffic for the last year (September 2017 – August 2018), followed by Baidu with 14.11%, Bing – 7.76% and Yahoo! with 4.27%. It is obvious that you aim to rank high on Google as this is where your business will benefit at the most. Hence, you need to create content that follows the rules that Google sets. Awesome, authentic content that grabs the attention of the reader is the key to SEO success. Without vibrant and informational content all your efforts are useless. You need to make sure that you will create a copy that is worth reading it. Avoid complicated or offensive language, technical jargon, and fluff. Be specific and detailed and try to be emotional or objective depending on the topic you are writing about. Do your best to engage with the reader, and that will pay back. In addition to the original and engaging content, you need to pay attention to the length of your written piece. You are not going to win the audience or score a good ranking with a 300-word article. The longer the content, the better the chance to rank well and attract traffic. Beware, however, not to focus only on making your content suitable for search engines. Do not forget that it should be read by humans, so don’t get carried away by writing a novel. Another useful tip is to include your keywords in the first 100 words of your written piece. 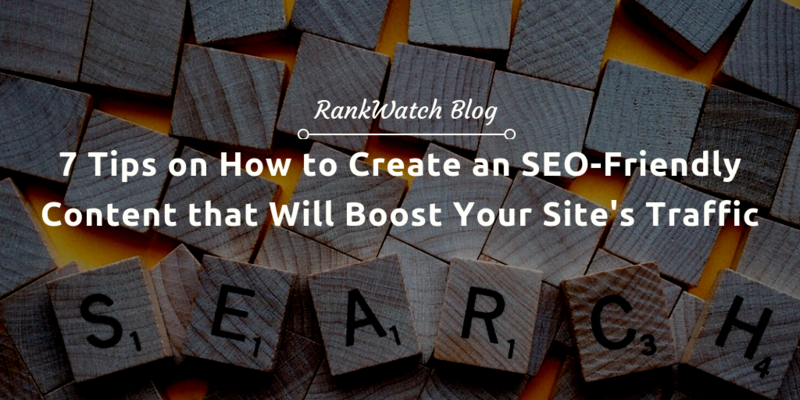 This will make your content more SEO-friendly. Do not forget to use social media sharing buttons. 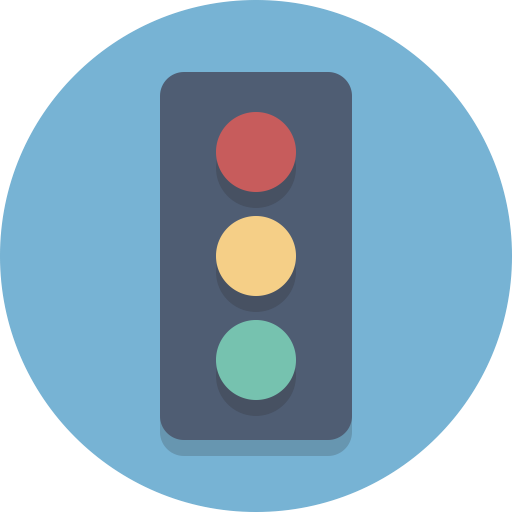 This will send the right signal to search engines and will help with your brand exposure and traffic growth. Besides, they improve User Experience. Search engines use the title of your post to understand its context. You need to have it optimized if you want your content to be ranked high. To do that aim for a title that is 55-60 characters of length, as this will be displayed by Google on the SERP. Try to include your keyword at the beginning of the title and aim for power words that will grab the reader. Your URL should be relevant to the headline to make it more recognizable. You can use title-generating tools to help you come up with a brilliant and catchy phrase that will boost your overall content. Try SEOPressor, HubSpot or blog about for best results. Using keywords is necessary to help identify the main ideas of your topic. However, their usage should be careful. Keep in mind that keyword stuffing may have exactly the opposite results to those that you are aiming to achieve. Make sure that you are not sacrificing the quality of your content just for the sake of including more keywords. With all that in mind, you should not forget that proper keyword research is of paramount importance. It can give you useful insights as to what type of content users are looking for, where do your competitors stand and inspire you to write engaging content. How to do proper keyword research? Simply by utilizing the right tools for it. One of the most popular tools to help you are SEMrush, Google Keyword Planner and Serpstat, an all-in-one SEO platform that can help you with some of the other steps listed below. These tools are also a good source of finding related keywords or LSI (Latent Semantic Indexing) keywords, which can help you create content that flows more naturally while still being SEO-friendly. While content is one of the major factors used by search engines to determine what should be displayed in top positions, the structure is also a significant element that plays a vital role. If you want your posts to be SEO-friendly follow a consistent structure by dividing your content using Headings and paragraphs, bullet points, bolded words and phrases. Internal and external links serve a specific purpose for your content and can help you with attracting traffic. Internal linking helps you establish your brand by providing a logical sequence from one article to another. Creating a series of posts can facilitate search engines in understanding the key topics of your website. It also adds value to the experience of your readers. External links prove that you have extensive knowledge of the topic that you write about and give the reader the possibility to check authentic details such as statistics or find further information on the topic. Using reputable sources for your external links has a positive impact on your site’s credibility. Note that you should not include an extensive number of internal and external links, as that will have a rather negative effect both regarding SEO and readers experience. It may be a good idea to turn these tips into an SEO-friendly content checklist so that you can keep them handy anytime you need to write a new piece. Great, optimized content is the key factor that generates traffic. Aim at producing content that is both user and SEO-friendly and soon you will see how your website gaining popularity in search engines and ranking better on SERPs. Donna Moores is a successful blogger and CMO at Handmade Writings. She has gained an outstanding marketing experience within the biggest industries and businesses, which she pleasantly shares with the readers.